PLEASE NOTE: There are two different ways to complete the next step depending on which view you are in. If you see two separate drop-down boxes, click Add an activity and select Attendance. For more information about this option, view Activity Chooser Option. 4. 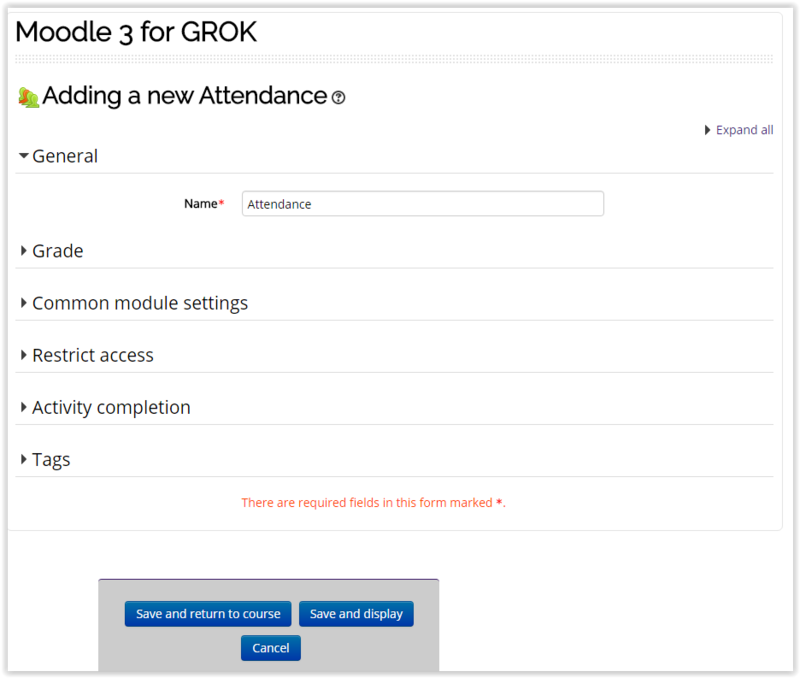 Select Attendance and click Add. 5. Type in a Name for this attendance, then personalize the attendance in the Attendance Settings. When finished, click Save and Return to Course at the bottom. 6. 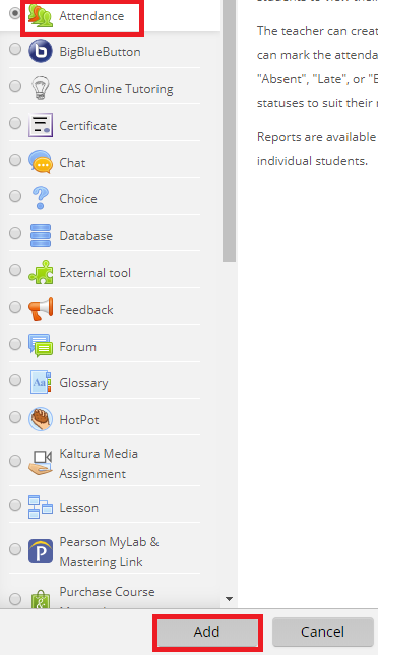 The Attendance will then appear in your selected topic section. 7. After adding the attendance activity, add an attendance session.